It was the month of November, Courbet and a group of his intimates are sitting around a table after dinner, listening to music, at his friend Cuenot's home in Ornans. 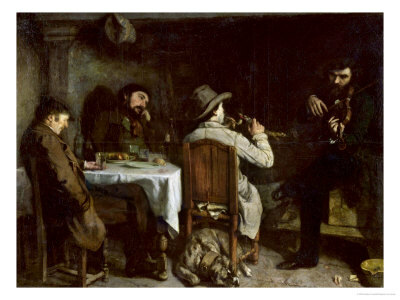 Adolphe Marlet has come back from the hunt and is lighting his pipe while his dog sleeps under his chair, Promayet is playing the violin while Courbet and his father are sitting listening. He has depicted life in the country, honest imagery of the lives of simple people... but on a grand scale. A non-moralizing genre scene, an actual event that he experienced. 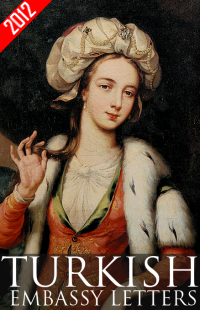 This painting that was submitted to the Salon of 1848 was received with mixed responses, some even said Courbet was dragging art thorough the gutter... He still received a metal for it and made his fame in Paris. Since he won an award, Courbet was able to exhibit his works without being judged on the next exhibit.